Due February 19, the Australian band’s fourth album sees sole original member vocalist/guitarist Andrew Stockdale take on bass duties while joined by drummers Josh Freese (Nine Inch Nails, Bruce Springsteen, A Perfect Circle) and Joey Waronker (Air, Beck, REM). Stockdale teamed up with Brendan O’Brien on the record and says he’s thrilled with the work of the veteran producer. 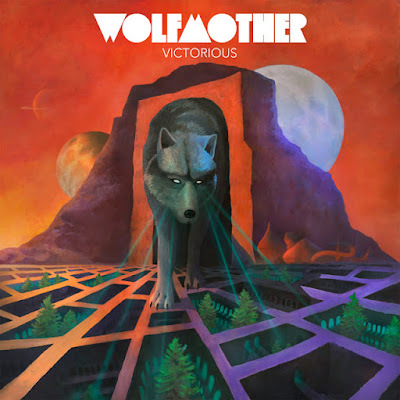 “Victorious” is being previewed with the release of the title track and “City Lights”, with both tunes available as instant downloads with pre-orders of the album. A 6-week North American run will begin on February 24 at First Avenue in Minneapolis, MN and close out in Vancouver, BC on April 1. Tickets will go on sale to the general public on Friday, December 4. Joining Stockdale in Wolfmother’s touring lineup are bassist Ian Peres and drummer Vin Steele.